Property value in Tollygunge, in Kolkata, has been rising since the last few years, thanks to the development of a number of exotic residential complexes in the region. Well, Tollygunge had always been the centre of attraction for the city dwellers. Its optimal location is one of the reasons behind its popularity. In the last five years or so, a number of developers have come up with residential projects in the area. With all modern means of connectivity and amenities, life in Tollygunge gives you the best specimen of Kolkata’s culture. 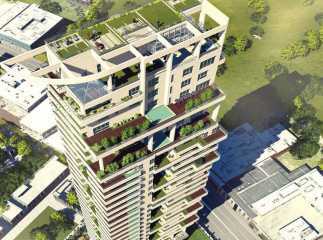 If you are willing to invest in a high-end property in Tollygunge Kolkata, this is the right time for you. Location-wise, Tollygunge is located in South Kolkata, although quick transportation facilities ensure reaching the farthest corners of the city within one hour, in any direction. The North-South Metro connects Tollygunge to the airport at Dumdum, which takes around 30 minutes to reach. Besides, the other end of the metro establishes connectivity to the farthest corners in the south. Tollygunge is also the junction between the suburban railway running between Shealdah and Budge Budge. Besides, it has two metro stations separated by a few kilometres. The roadways are well-developed in Tollygunge, with the S.P. Mukherjee Road connecting it to Central and North Kolkata. 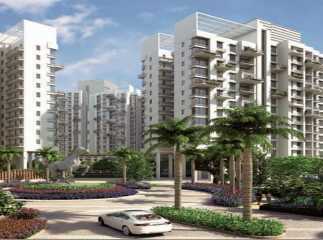 It also has close proximity to other important areas like Jadavpur, Taratala, Behala, and Rashbehari. Residents migrating to one of the projects in Tollygunge Kolkata will get full access to all types of infrastructure, right from schools and hospitals to roadways. Important schools in the region include South Academy High School, G. D. Birla Centre for Education, Maharishi Vidyamandir, Calcutta Institute of Engineering & Management, Gangapuri Siksha Sadan, The Assembly of God Church School, B.D. Memorial Institute, and ITI Tollygunge. Besides, Tollygunge is the terminal point of trams and several state buses. Residents in Tollygunge enjoy easy access to the important commercial hubs of the city, including Park Street, Esplanade, and Dalhousie. Besides, it is well-connected to Salt Lake Sector 5, the IT hub of Kolkata. Commercially, Kolkata has always been a destination of success for investors from other states. It also provides an approach to the Kidderpore Dock, where cargo ships enter and exit the city. 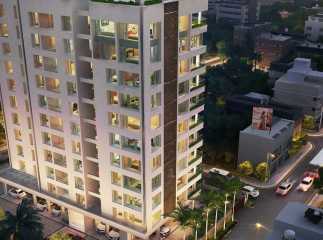 Besides, you can also get fast access to areas like JL Nehru Road, Camac Street, and Ballygunge. The places of interest in Kolkata include Tollygunge Club, ITC Sangeet Research Academy, Royal Calcutta Golf Club, and much more. 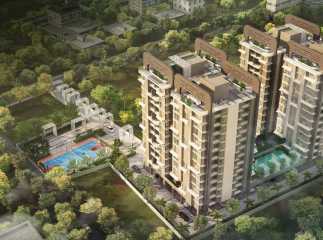 In case you are willing to get a 2, 3 and 4 BHK apartment in Kolkata, you can choose from various price slabs. 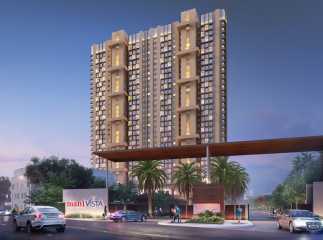 These apartments have been developed for the high-end buyers as well as middle-income groups. With upgraded security and infrastructural facilities available, investors are keen on acquiring properties in Tollygunge Kolkata. The residential complexes have their individual swimming pools, gyms, banquets, and dedicated play areas for kids. They also come equipped with tennis court, jogging tracks, and cycling tracks. Most of these complexes have extensive areas of green around them. You may book an apartment now, as the prices are already rising, with more residential estates to come up in the next few years.